Well it goes without saying that the Royal Wedding of Prince William and Kate Middleton is hugely popular event that received unprecedented attention and coverage not just from the media but by the public too. Boris Johnson suggested the event would be a test for the Olympics with regards to travel and policing of the hundreds of thousands of people expected to attend and catch a glimpse of the royal couple. 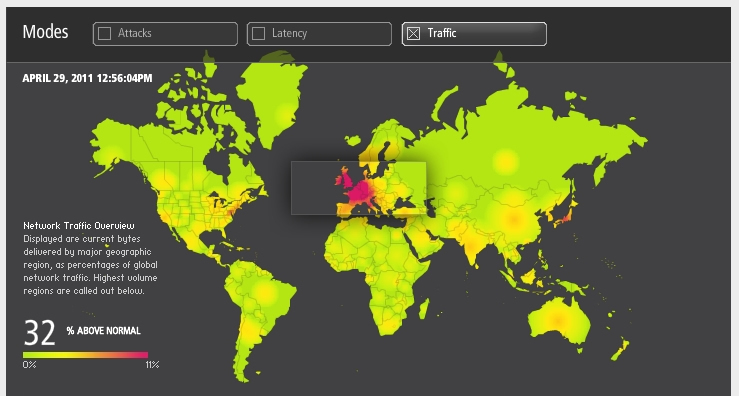 I am more interested in the stress an event like this puts on the infrastructure of networks such as the national grid electrical supplies and internet traffic. Millions will be watching it live over the internet, thousands will be using social networking sites to talk and tweet about it. As a result our fibre networks will slow, demand for electricity will increase and CO2 emissions will rise. 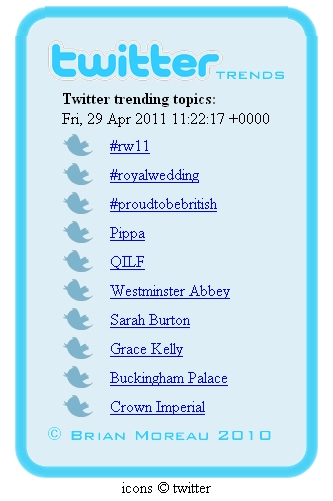 I took some snap shots of the current Twitter trends at the time of the wedding and as expected related topics dominated the top ten. 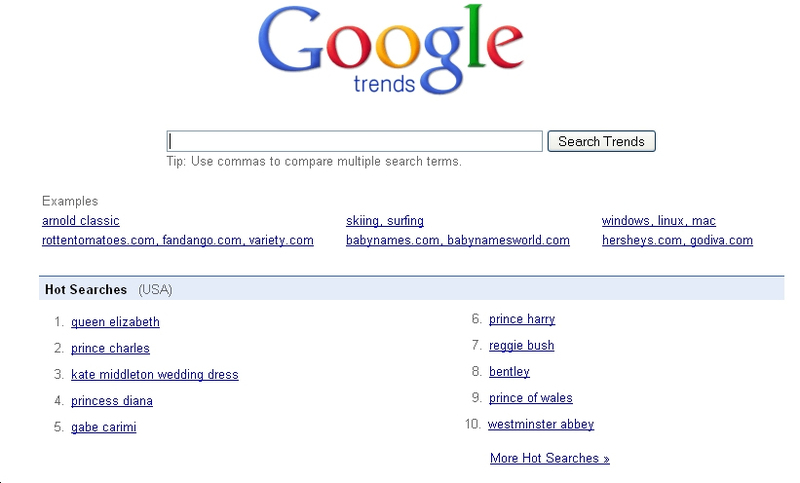 Equally the top ten searches on Google were all royal wedding related. A surprising peak for Bentley was observed which no doubt will be followed by an increase in sales. 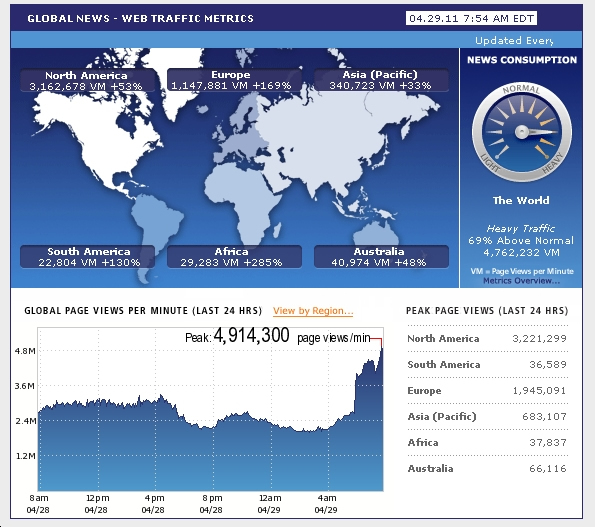 At the same time the average amount of web traffic overall increased by 32% above normal and news feeds alone doubled from 2.4 million to 4.8 million page views per minute. 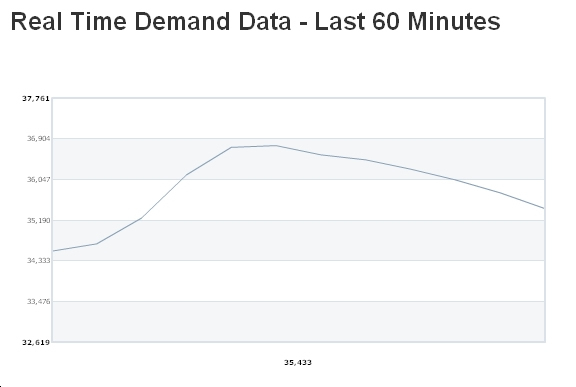 While there was a peak of electrical power consumption at about midday this was not abnormally high and I would assume the reason for this was because most people were off work which is now how I am going to spend the rest of the day.